Rankings, reviews, and pricing for our top recommended home security systems. See which smart home system is right for you. Read our in depth comparison. Stop hackers in their tracks with our top identity theft protection providers. Defend your computer with one of our top rated antivirus programs. Been hacked? Sick of losing passwords? It's time for a password manager. Reviews and rankings of the best medical alert systems available today. Think of all the things you’ve sent or received in your emails. Perhaps you’ve emailed a vacation itinerary, wedding photos, medical information, or tax documents. Now imagine if all that personal information were at the disposal of a criminal. With just a little work, the criminal could be able to piece your life together through your emails. Talk about a nightmare. Using safer passwords can help prevent criminals from obtaining your private information. By following our tips, you can keep your passwords safer and your life private. 1. Avoid pet names, birthdays, etc. Fido, September241983, and Password123 are all examples of weak passwords. Using a pet’s name, your street address, an anniversary, or the word password in your password makes it easy for you to remember your password, but it also makes it easy for criminals to guess and hack into your account. Use 8–12 characters—the longer the password, the more difficult it is to crack. Include a combination of uppercase letters, lowercase letters, numbers, and symbols. Generate a complex password using an online password generator. We’ve all been guilty of using the same password (or a variation of it) for every account. That makes it easy for someone to hack into your online profiles, but no one can remember 8–12 characters with varying numbers, letters, and symbols for every single online profile. However, it’s important to remember that once a hacker has your password, they’ll have access to all your profiles. You’d be surprised at the number of people who have a document on their computer or a paper in their desk with all their usernames and passwords written down. This is a huge security risk—if someone were to hack your computer or search your desk, you’d be in big trouble. We know it’s asking a lot to use different passwords for every account without writing them all down. A password manager can save you from having to remember dozens of complicated passwords. Password managers store all your usernames, passwords, credit card information, form fills, and more—and some of them are free. Check out our top picks for best password manager to see which ones we love. Two-factor authentication is like having two passwords for your accounts. No, we’re not asking you to remember double the passwords. 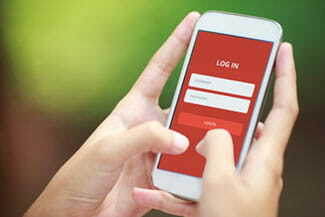 Two-factor authentication typically works with a four- or six-digit code that is generated through an app or sent to your phone to confirm you are the person who should be accessing the account. For example, when I sign in to PayPal, a text message is sent to me with a code I can type into the PayPal page to confirm that I am the account holder. Changing your passwords regularly may not prevent hackers from obtaining access to your account, but it will prevent them from having continued access to it. 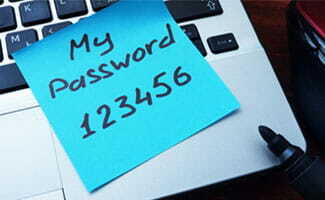 A good practice is to change your passwords every three months of so. This tip may seem unlikely—how is updating your devices going to keep your passwords safe? Software updates for your computer, tablet, and smartphone often contain security upgrades, which can keep the data entered and saved on your device more secure. Next time your device alerts you of software updates, don’t postpone it. It’s one thing to share your passwords with your spouse, but we recommend keeping them private from others, even your children. Children may not understand the importance of online security, and they may share your credentials with others, making you vulnerable to hacking and even identity theft. What tips do you have for keeping your passwords safe? Tell us how we can make your experience better next time. Have a Home Security System? We want to hear from you. Impressed? Disappointed? Either way, we want to know—share your thoughts here. Want free monthly security tips & reviews? All Content © 2019 A Secure Life. All Rights Reserved.